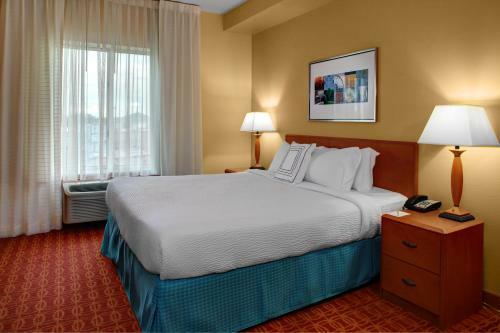 Rooms from $103.00 per night. 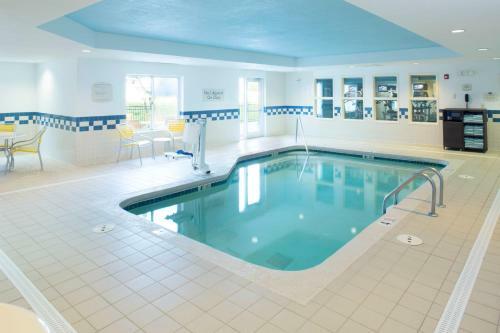 Description This McDonough, Georgia hotel has an indoor pool, free internet access and non-smoking guest rooms. 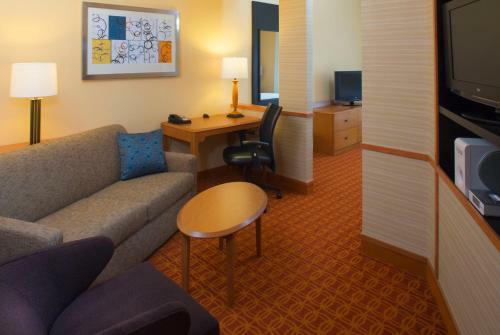 Light bright and modern with free Wi-Fi free breakfast and an indoor pool the non-smoking Fairfield Inn and Suites by Marriott Atlanta McDonough wows our guests. 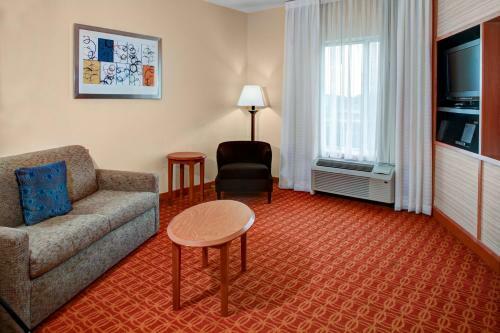 This 85-room hotel on four floors pampers its guests with attractive common rooms that invite lingering. 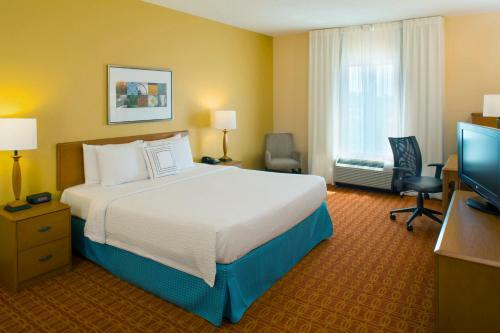 All rooms have free Wi-Fi and wired internet access flat-panel TVs free local calling and excellent beds. There's plenty of space to get some work done or lounge around. The hotel provides a free breakfast buffet every morning with hot and cold options and plenty of coffee as well as a free newspaper. 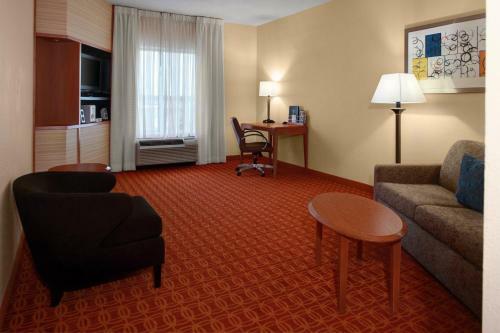 The business center has what you need to get your work done on the road and there's even a laundry facility for guests which comes in mighty handy. 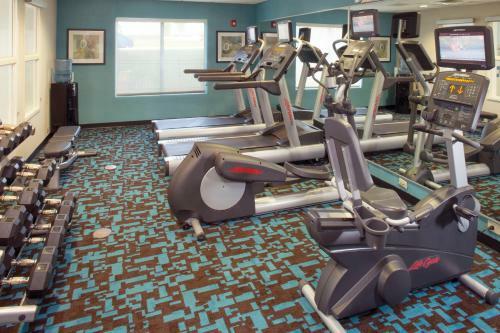 After a day touring the area or working the indoor heated pool hot tub and fitness center are just what the doctor ordered to keep you in shape and relaxed. Parking is free at this hotel. 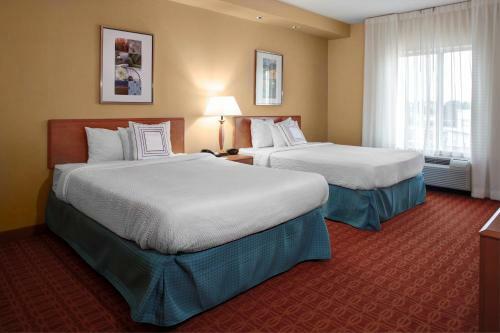 The Fairfield Inn is off of I-75 20 miles from Hartsfield-Jackson Atlanta International Airport and four miles from the center of historic McDonough known as the Geranium Capital for the town's annual geranium festival. The Georgia Dome is 40 minutes from the hotel and Atlanta Motor Speedway is 20 minutes away. 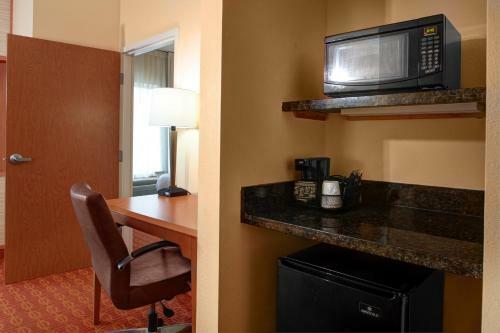 There are plenty of dining options surrounding the hotel. 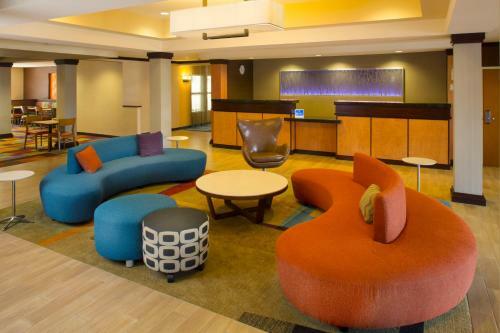 Add Fairfield Inn And Suites By Marriott Atlanta Mcdonough to your free online travel itinerary.